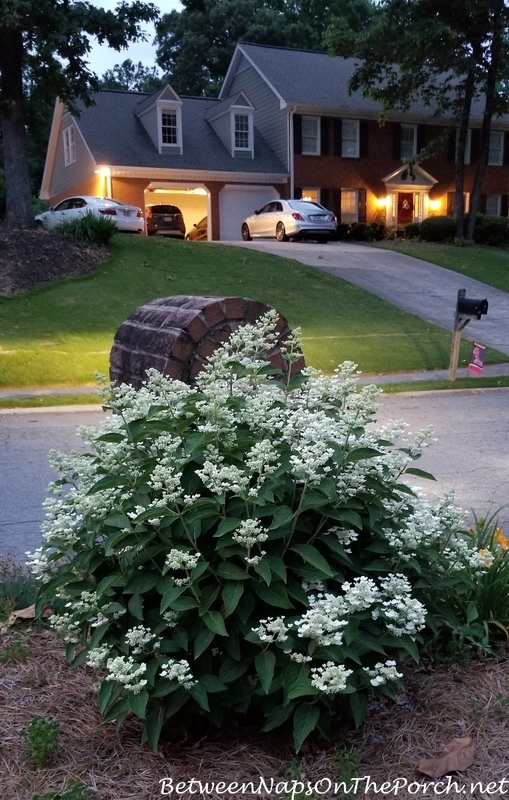 Back in the summer of 2014, I planted a few flowers around my mailbox including a Dharuma Hydrangea that was supposed to do well in full sun and be low-growing. I didn’t want a big shrub in this spot since space was limited. Do you see it there, just behind the mailbox? Here’s a photo of it a few weeks after it was first planted. As I was leaving to go someplace one evening this past week, I stopped my car at the end of the driveway to retrieve the mail. Wow! The Dharum Hydrangea is looking the most beautiful I’ve ever seen it! Though it was getting dark, I snapped a few photos to share with you. I love the height, it’s exactly what I had hoped for and wanted for this little mailbox garden. Apparently, it really does do well in full sun because there’s absolutely no shade in this area of my yard. 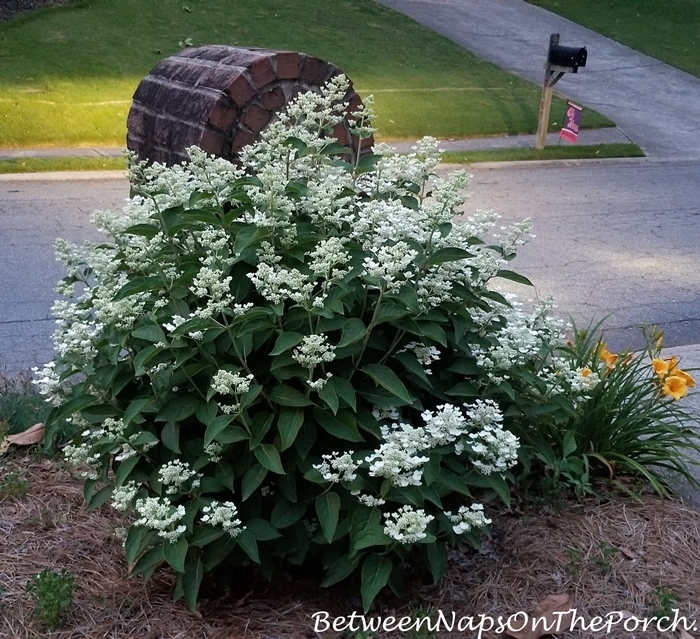 So if you’re looking for a hydrangea that is low growing and can take full sun, I can definitely recommend the Dharuma Hydrangea. The only thing I do to it each year is clip off the old, dead flowers and neaten it up a bit at the end of the growing season. 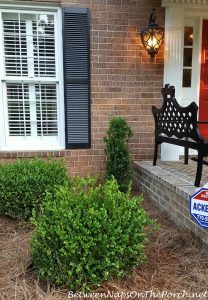 I can’t remember now, but I may have sprinkled a little 13-13-13 fertilizer around it when I fertilized my Leyland Cypress trees this spring. I think I did. Apparently, it enjoyed that little boost. See you tomorrow for Tablescape Thursday! Update: I just saw the funniest thing…the school bus that picks up the elementary kids in my neighborhood just came down the street honking up a storm. She passed all the parents waiting on the left side of the street since she had “deliveries” further down the street. She came back up the street a few minutes later, still honking away. As the children got off the bus, the parents were waiting with buckets of water and spray guns. lol They started spraying all the kids down. I love it! I have limelights in sunnier areas and endless summer in shadier spots, and would love to add a dharuma. Do you remember where you purchased it? (Is it obvious I love hydrangeas?) I havent seen one before, and I live in NE GA. Thanks! I think I purchased it at Lost Mountain Nursery in Dallas Georgia, if I’m remembering correctly. That’s usually where I have luck finding more unusual varieties and they give great advice when you tell them what your gardening need is for a specific area. Thanks! Sounds like would be a fun day trip. I love garden centers! Your hydrangea is beautiful. 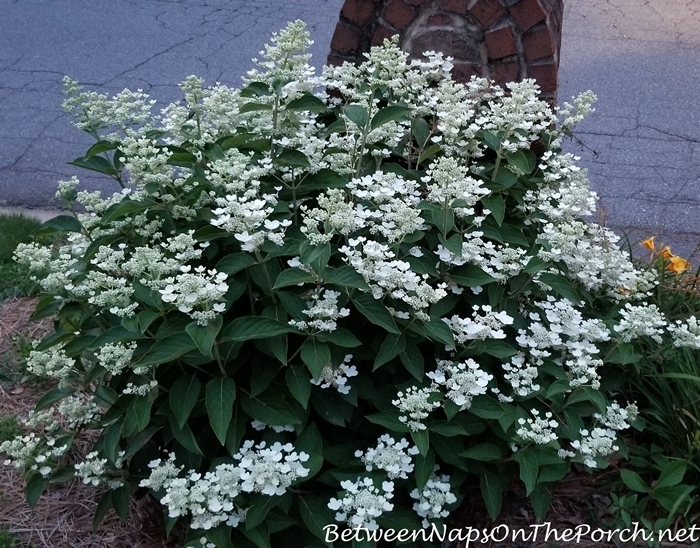 I live in North Florida now but really miss my Illinois garden, especially my hydrangeas! Started a Hydrangea collection a few years ago. 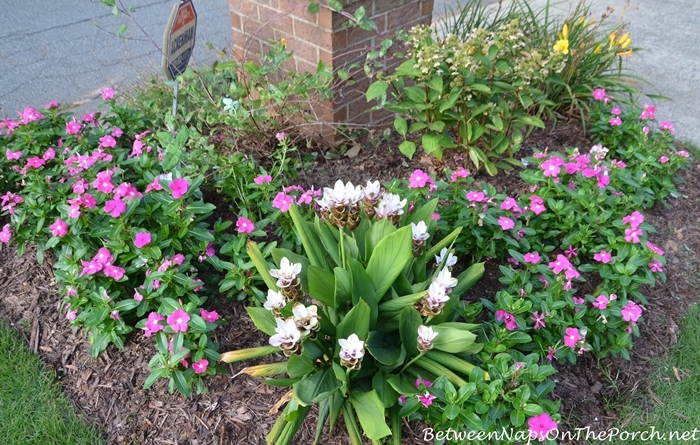 It has replaced Peonies as a favorite flower. This years peonies were amazing, and I love them all over again. The blue mopheads are in bloom now. Please stop the rain dance. Enough already. Have a wonderful weekend. With SUN. Wow ! That’s a beauty ! I love hydrangeas and it is unusual to find one that loves full sun. Your garden is lovely ! I love this hydrangea. Looks nice. I have a few in my yard as well as peonies and much much more!! 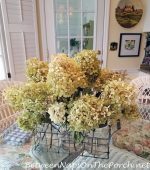 Love your hydrangea! I have question about a product you talked about a good while ago: a battery storage case. You ordered yours from Amazon, I think. Has it functioned well? Did you hang it or store on shelf or drawer? Which one do you have? ( I’d check your archives, but I don’t recall when you wrote the post!) I’m ready to order one and would really appreciate knowing about yours. Thanks! I didn’t hang mine, although I think you can. I keep mine in a drawer here in my office and use it all the time. I bought it after I read an article about a guy who always recycled batteries. He would take them and toss them into a bag in his garage until there were enough to worry with, then he would take them someplace to have them recycled. Who knew that could happen! It really needs to be publicized more so people know! Thank you so much for your prompt reply, Susan! I am a faithful reader and fan of your blog! 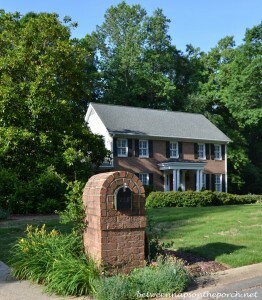 Susan: You have a truly beautiful home! 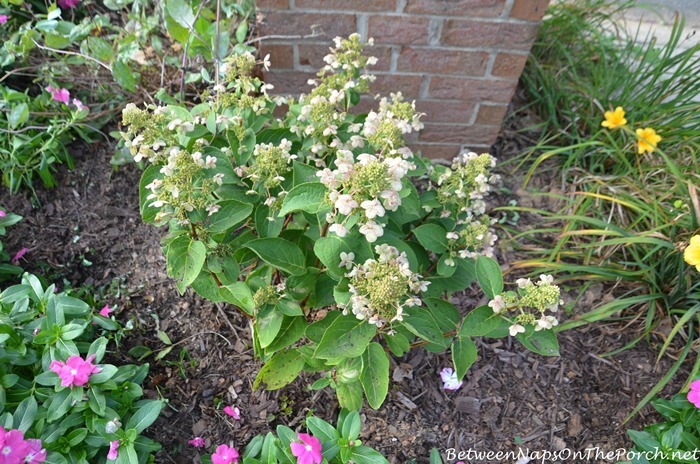 Thanks for sharing about the Dharuma Hydrangea. I once tried to grow a beautiful hydrangea from a cutting from friend but it was not meant for full sun so it didn’t thrive. It is nice to find a variety that handle full sun. Thanks again! Thank you Susan! I have been looking for a flowering plant that loves full sun. Yours looks so pretty. I just ordered 6 of them! What a beauty! I would so enjoy driving by your mailbox to see pretty flowers smiling at me. Love the bus driver story!!! I am so envious of those with garden spaces (condo here)! And too funny about the bus drop-offs; they will always remember that. I may try growing that hydrangea here in Florida. We definitely have full sun. I’m just not sure if our winters would agree with it. We live right by the school bus stop in our area and it’s a tradition for the moms and/or dads to be armed with water guns and water balloons. That will happen Thursday here. I had to look that hydrangea up. It says zone 3 to 8 so I can grow it here too although I don’t know off hand where I’d plant it! I love the story about the school bus and the kids! I bet there were a lot of laughter and screams going on! Hello Susan, Your hydrangea is perfect for that spot! I was in the Kansas City Talbots yesterday and saw a navy button-up shirt that had white giraffes as the design. Thought you might like it! Gorgeous hydrangea! Looks so graceful. Just planted Little Lime and Blue Endless Summers here in my new yard in a Memphis, TN suburb, after moving from Greenville, SC- where I tried and tried but could not get a variety of hydrangeas to thrive.